Disregarding the fact that his contract will expire by the summer, United are ready to pay £35 million to rope in Mesut Ozil from Arsenal. According to the latest sources, Jose Mourinho has been shown the green light by the club’s finance men to pursue the German. 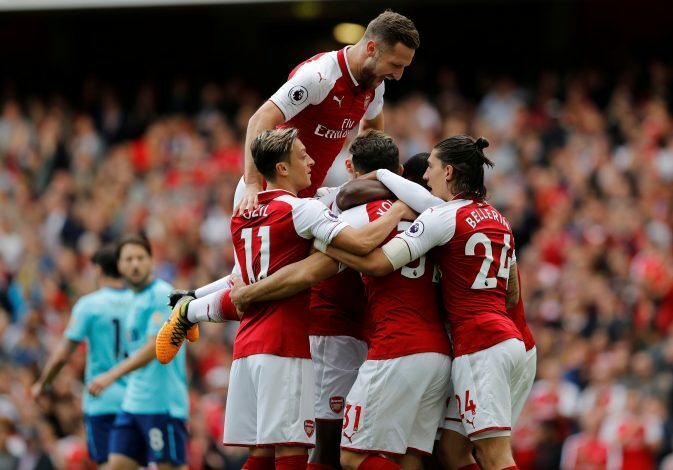 However, mesmerizing Arsene Wenger still remains a challenge for the Red Devils, despite the fact that the playmaker’s contract is running out. Ozil has been showing signs of a comeback recently, after a notable period of poor form. Hence, it’s natural for the Gunners’ boss to wish to continue having his services till summer. As per reports, Mourinho would, in fact, prefer a deal when the No.11’s contract expires in the summer. But the influential gaffer fears an auction with Paris Saint-Germain and Bayern Munich then, who are just as keen as United. According to Mirror, the Glazer family, who owns the Old Trafford outfit, is willing to provide the ex-Chelsea boss with £80m in the winter window. Therefore, affording Ozil appears to be a piece of cake for the Red Devils. Moreover, the departure of Wayne Rooney created more room in the wage bill, having cleared his £300,000 weekly salary. The Mancunian giants wish to grab hold of some silverware this year, and even attempt to leapfrog Man City in the table in the upcoming months. However, Jose believes it to be impossible unless his side does well in the January transfer window. Furthermore, being a creative player, Ozil could actually aid the club to a great extent with his services.